She's fierce, she's sassy...she sticks to walls! 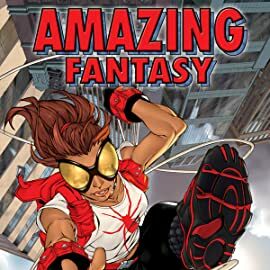 AMAZING FANTASY #1 is where it all begins: Meet an all-new, all-different heroine! 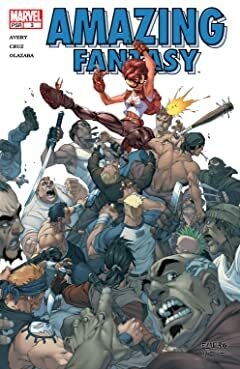 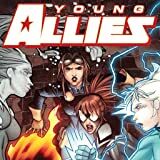 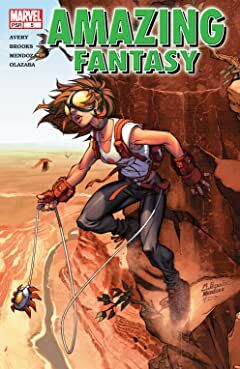 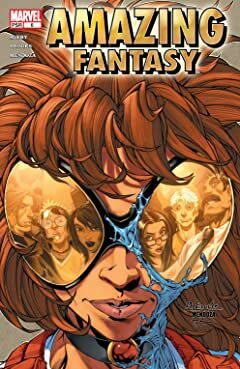 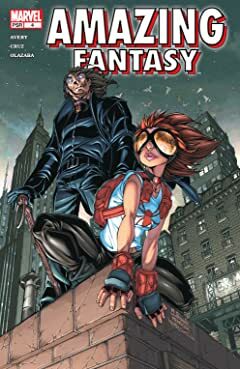 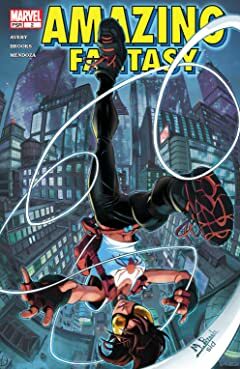 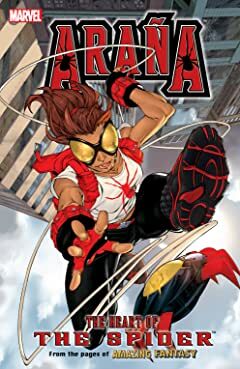 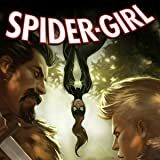 Fiona Avery (AMAZING SPIDER-MAN) and Mark Brooks (MARVEL AGE SPIDER-MAN) launch a surprising series of teen-friendly adventures set in the current Marvel Universe! 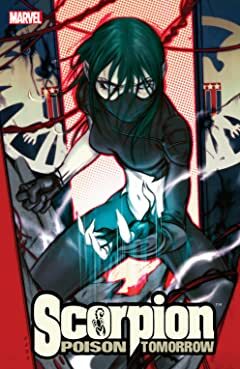 It all ends and begins right here! 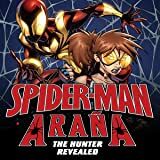 Araña learns what the future of the Wasp/Spider-Clan battle holds, and what it means for her destiny as the Hunter! 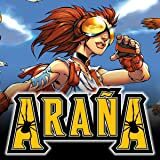 Sides are chosen, lives are lost and Araña will never be the same!